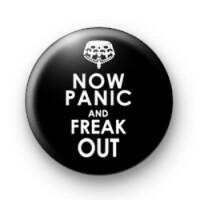 Now Panic and Freak Out Badge. Spoof on Keep Calm and Carry on. Fun cool slogan badge.